Remy has been through so much in her life, from losing her mother to cancer, to finding her grandmother dead in her own home. Remy has been shot several times but still manages to escape the reaper’s hold on her. Remy and Camarri Harris have finally escaped the drama in Bridgeport after the deaths of Jerome and Jason. They started their own family with hopes of living a happy life. A year after giving birth to their son, Rahmeen Joel Harris, Remy and Cam decide to get married in Puerto Rico, where they will meet their fate. 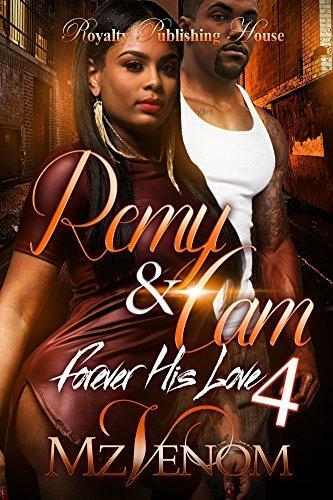 As Remy prepares to finally walk down the aisle to marry the love of her life, Camarri Harris, she is reunited with her sister, Kendra. After finding and killing Jason, Remy’s father, Kendra went aboard to South Korea to attend school and live her life with her boyfriend, Chan. While on break from school, Kendra manages to make it to Puerto Rico in time to surprise her sister on her wedding day. After being reunited with her sister, Remy’s one-year-old son, Rahmeen, walked her down the aisle to her soon to be husband, Camarri Harris. Only seconds away from saying I do, the unexpected happens. Shots ring out as everyone in attendance scatters, trying to find cover. Cam tries his best to shield Remy and Rahmeen from the bullets that rained down on them. Cam ends up taking most of the bullets. Once all the commotion has calmed down, and the culprits have gotten away, Remy and Cam are rushed to the nearest hospital where doctors fight hard to save their lives. 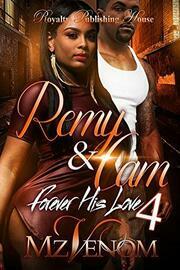 Will Remy and Cam live to see their son, Rahmeen Harris, make it to his second birthday? Will Remy live long enough to reveal her secret surprise to Cam? You’ll have to read the book to find out!